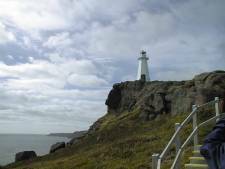 Lighthouse located on Cape Spear in St. John's, Newfoundland, Canada, the easternmost point in North America. 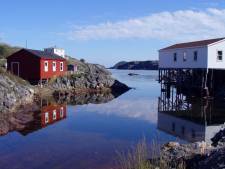 Salvage Harbour, Newfoundland in the summer months. Land of vikings - quietness, solitude, arid land, and spectacular passages typify the magical beauty of this unknown country in Labrador. 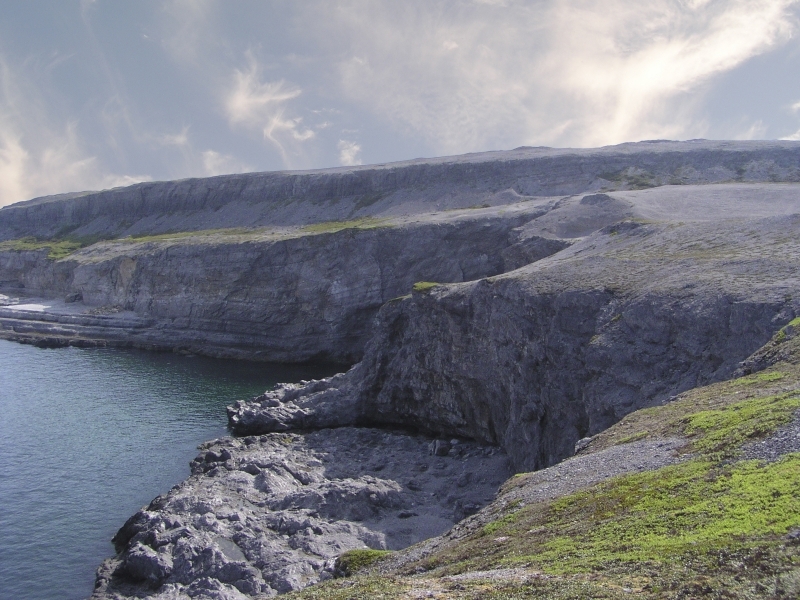 Ecological trail, Burnt Cape, Labrador, Newfoundland. 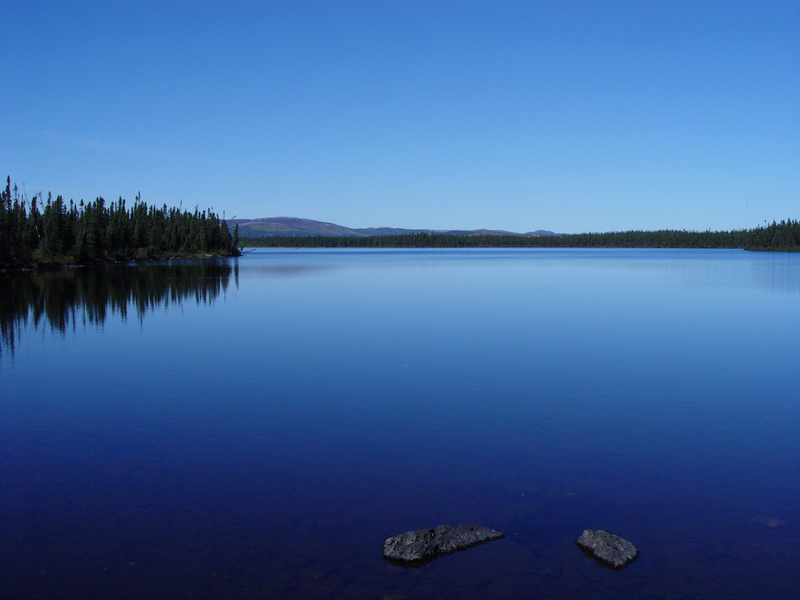 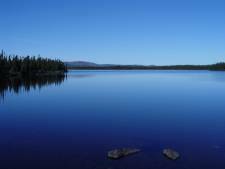 Lake in Labrador, Canada, on a calm day. 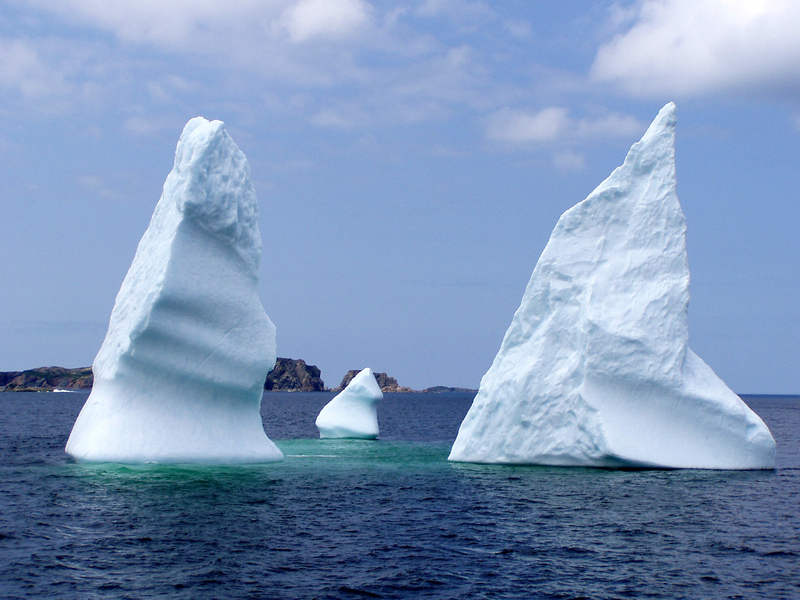 Three tips of a single iceberg floating near Twillingate, Newfoundland, Canada. 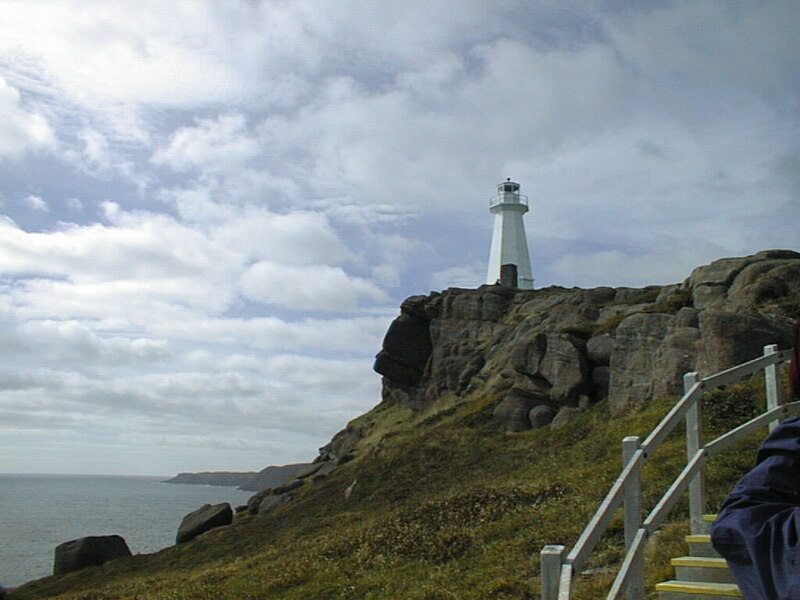 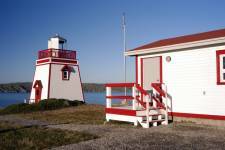 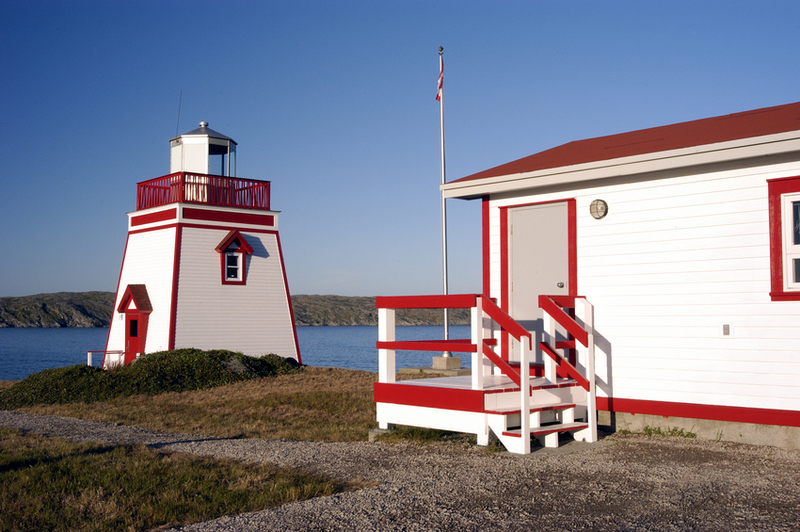 Saint Anthony Lighthouse is located in the northeastern portion of the Northern Peninsula in Newfoundland, Canada. 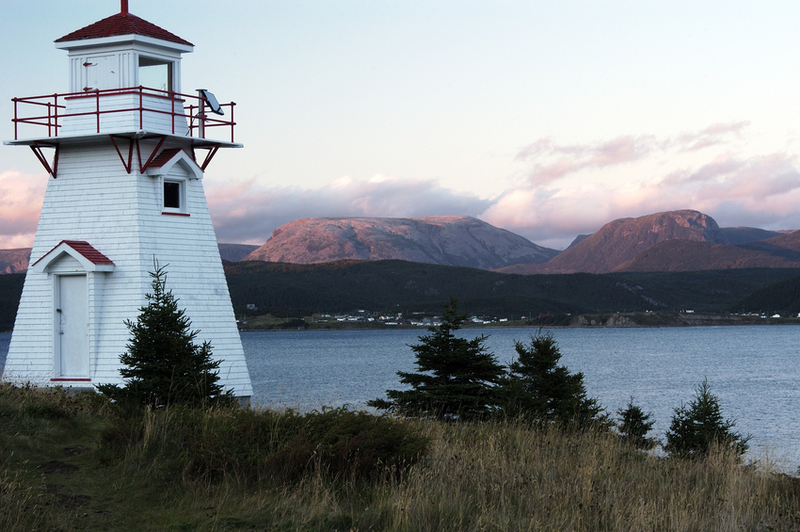 Norris Point and Gros Morne Mountain from the Woody Point Lighthouse, Newfoundland. 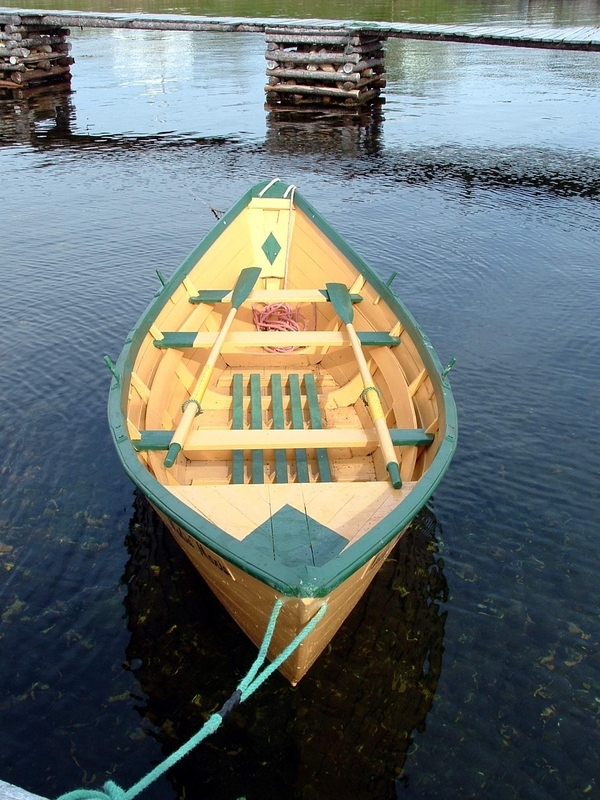 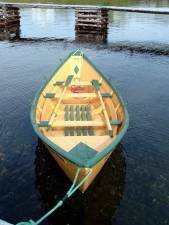 Photo of a Newfoundland Banking Dory that was once used on Schooners plying the Grand Banks of Newfoundland. 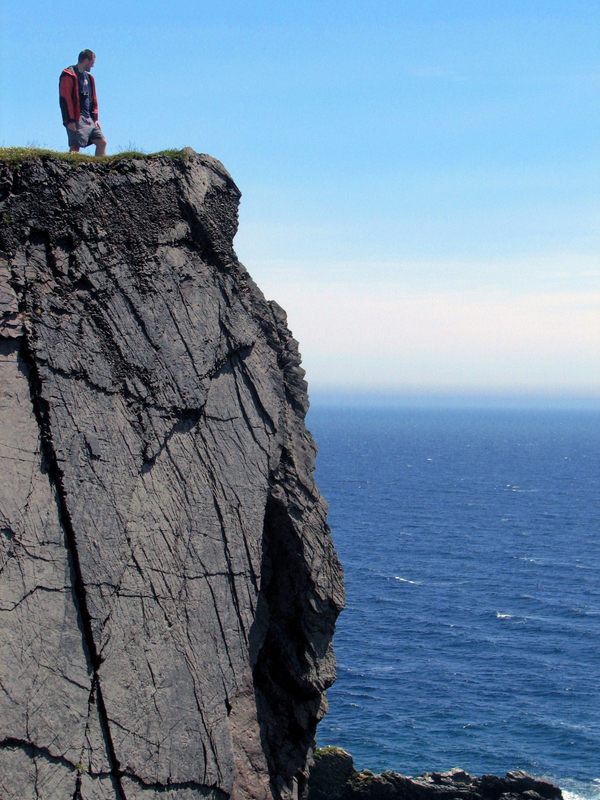 Top of the world - a lone hiker looks out over the view. Skerwink Trail, Newfoundland, Canada. 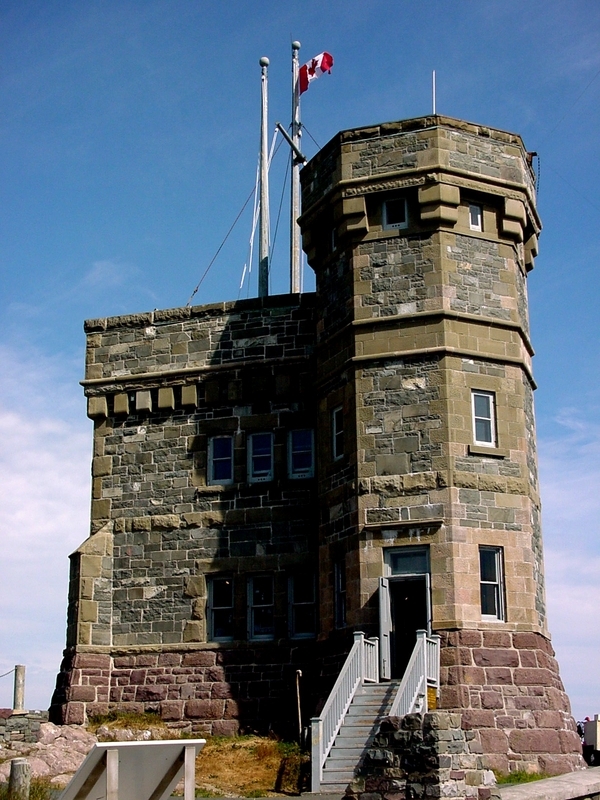 Cabot Tower in St. John's, Newfoundland. 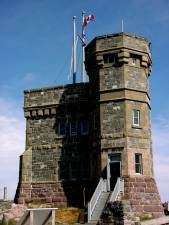 Location of the first trans-Atlantic wireless message.